So because I have the Dinair Airbrush kit I'm considering just doing my own makeup for my wedding day. This is mainly because I've found airbrush makeup to be the most flawless and natural looking out of all the foundations I've tried out over the years. I decided to try out a kind of classic Dita Von Teese sort of look for the first one. For this look I used my Physician's Formula 2-1 eyeliner pen (if you don't own it go get it! 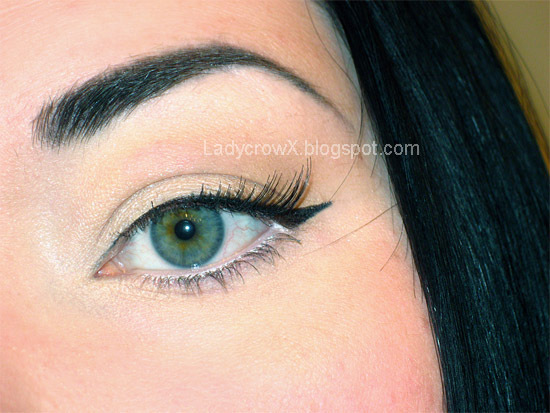 I seriously love that liner! ), Wet n Wild Vanity palette, and MAC eye kohl in Fascinate. So pretty! You have a fabulous eye colour!